It was a Monday night before the Thanksgiving holiday, and I could feel that it was going to be a long week already. Fortunately, I was in the mood for a drink and headed to HGU Hotel for a cocktail to celebrate some of the best drink writers in the industry’s new cocktails books. This was a signing for Hanna Lee’s “Meet the Spirited Authors” book signing event featuring New York Times’ Robert Simonson, Kara Newman of Wine Enthusiast and Carey Jones. The event celebrates our agency’s 13th anniversary and is part of an ongoing series that gives back to the community and supports authors. And you know, I need to add to my already extensive cocktail collection. I sat with all three guest cocktail authors as they schmoozed with . While all were about mixology and cocktails, each one brought a unique twist. Robert Simonson’s “3-Ingredient Cocktails,” a collection of the greatest drinks of all time, modern and classic, all of which conveniently feature only three ingredients. Kara Newman’s “Shake. Stir. Sip.” has an interesting cocktail strategy of using equal parts of the main ingredients and adding a dash of bitters or a splash of seltzer to gild the lily. 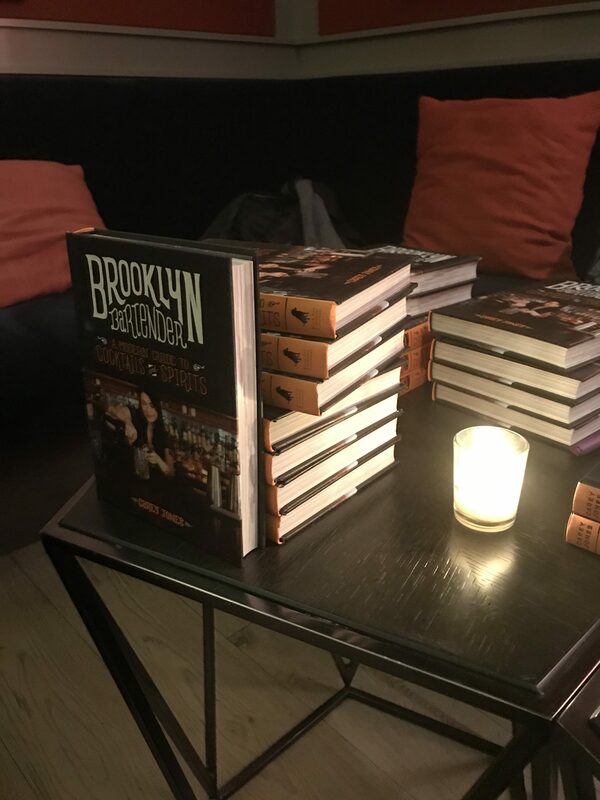 Lastly, Carey Jone’s “Brooklyn Bartender” showcases bartenders and cocktail recipes from the booming borough at the height of its international popularity. Of course no event with such great cocktail writers could leave out amazing drinks. 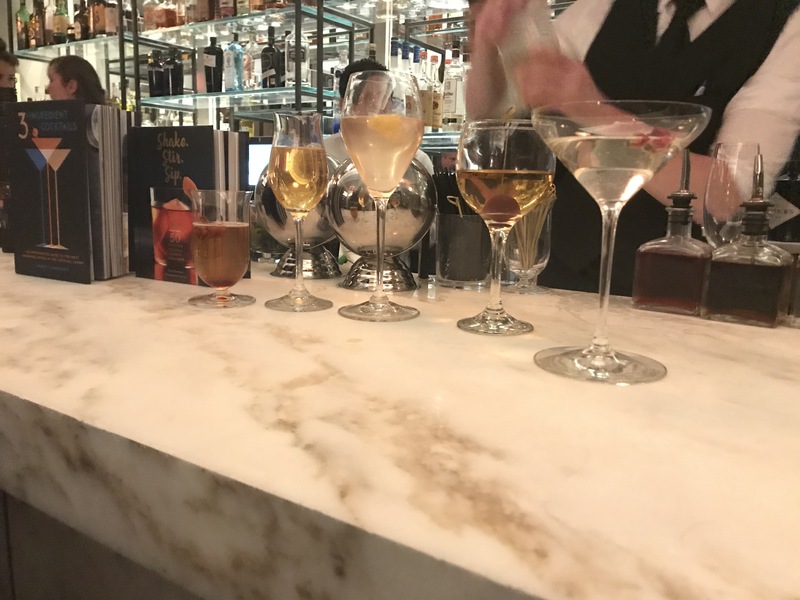 Notable sips included the Danny Boy, a cocktail with Slane Irish Whiskey with truffle infused amaro — you bet you could smell that truffle! Mr. B’s Ballerias had Aviation Gin, St. Germaine Elderflower cordiale and these incredibly cute roses in the middle. Classic looking! 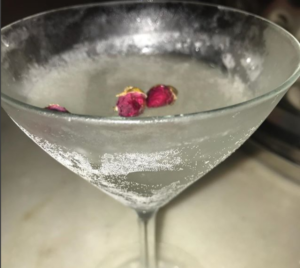 And you know if there are cocktails, there are bites including Ahi Tuna Flatbread, Butternut Squash Ravioli, Whiskey Pork Belly, Crispy Chicken, Sea Bass Ceviche and Forest Mushrooms. For cocktail enthusiasts hunting new ideas, these recipe books will provide plenty of inspiration.